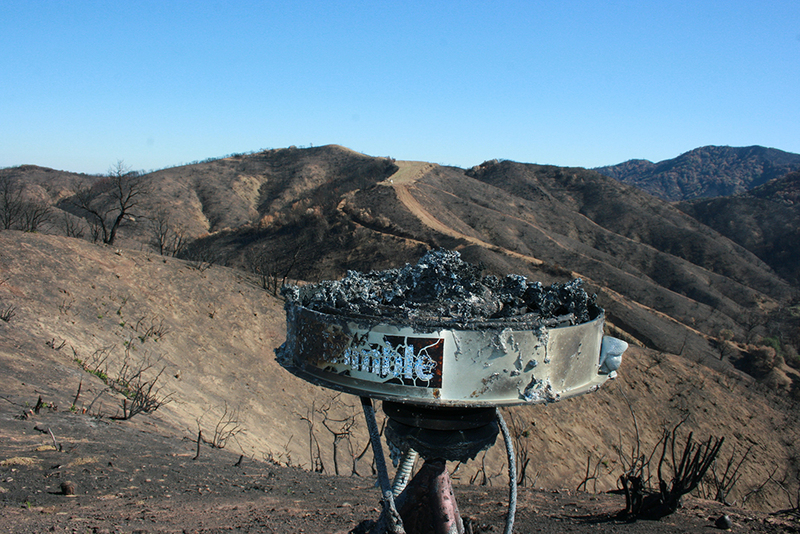 In August and September of 2016, the Chimney Fire burned through 46,000 acres of San Luis Obispo County near the central California coast. 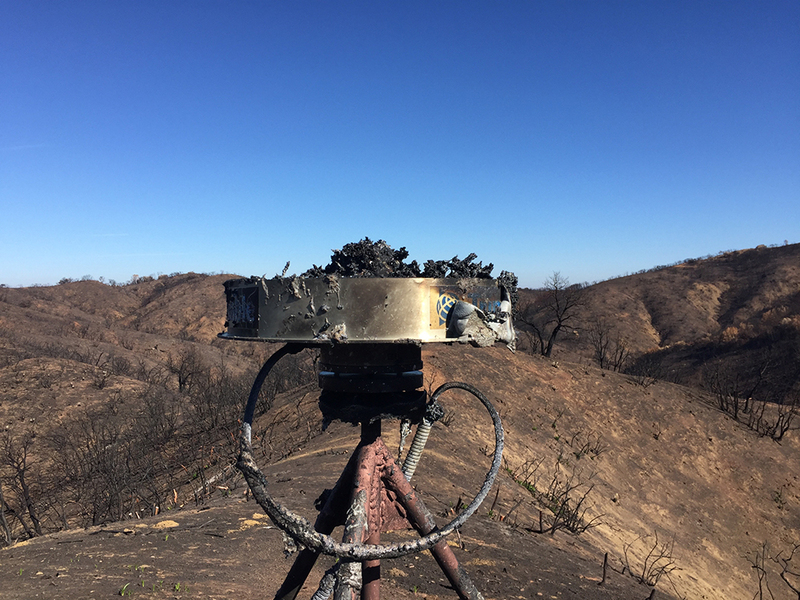 In addition to destroying dozens of homes and structures, the fire also swept over P278 Clarke Mountain, a GNSS station located on a high ridge within the burn zone. 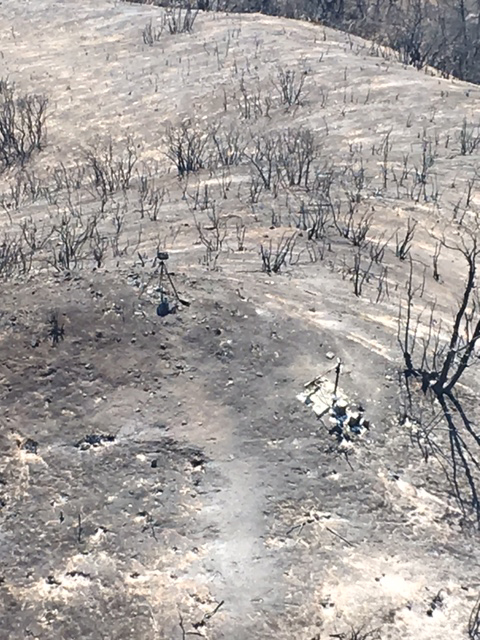 While fighting another nearby blaze, one of our local helicopter operators took a few photos of the site from the air to give us an idea of what to expect; very little of the site appeared intact. 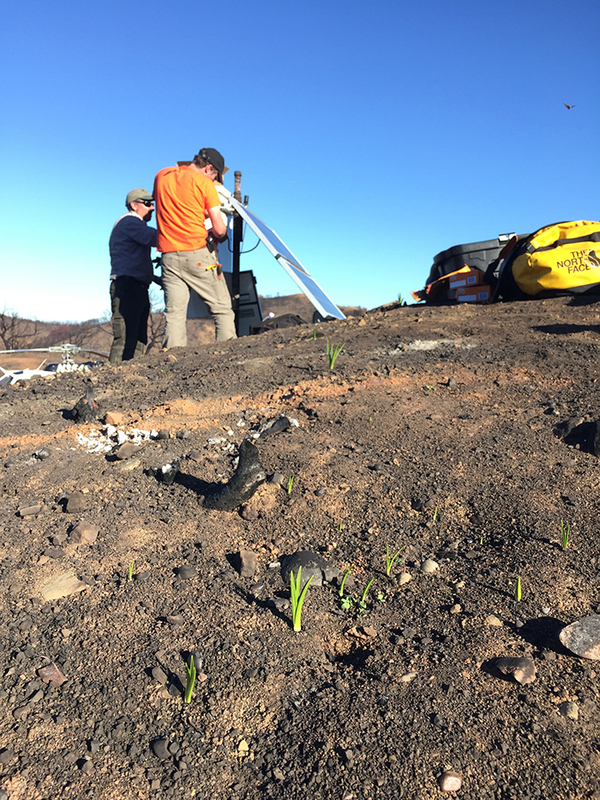 As soon as resources were available, in November 2016, the Southwest Region Plate Boundary Observatory (PBO) team visited the site to rebuild. 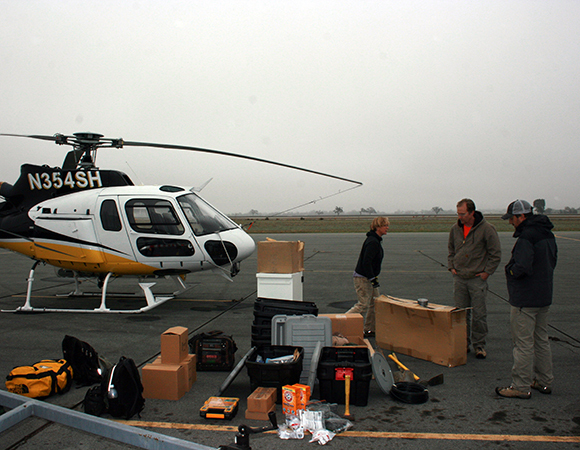 P278 was one of five stations constructed in response to the December 2003 Mw6.5 San Simeon earthquake, and helped capture the complex aftershock sequence and postseismic deformation. 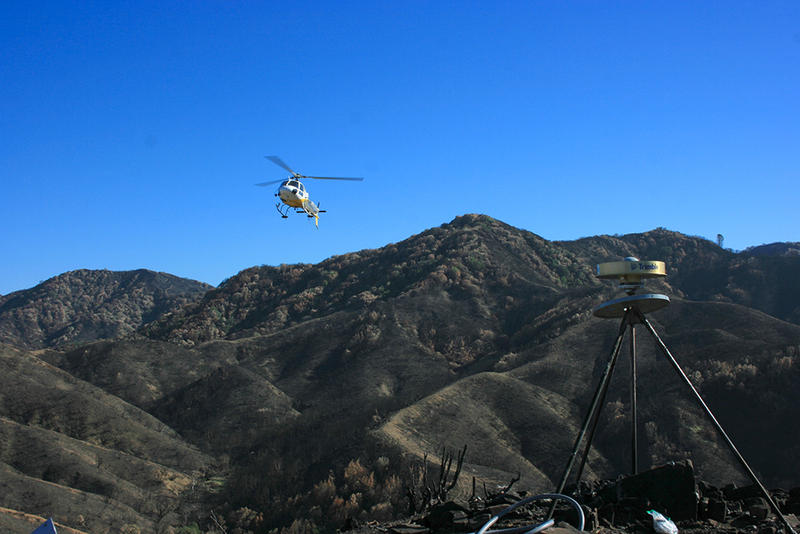 It was a critical station for the analysis of stress field change and the relationship to the Mw6 Parkfield earthquake that occurred just 9 months later on the San Andreas Fault, 55 kilometers (35 miles) to the east-northeast. 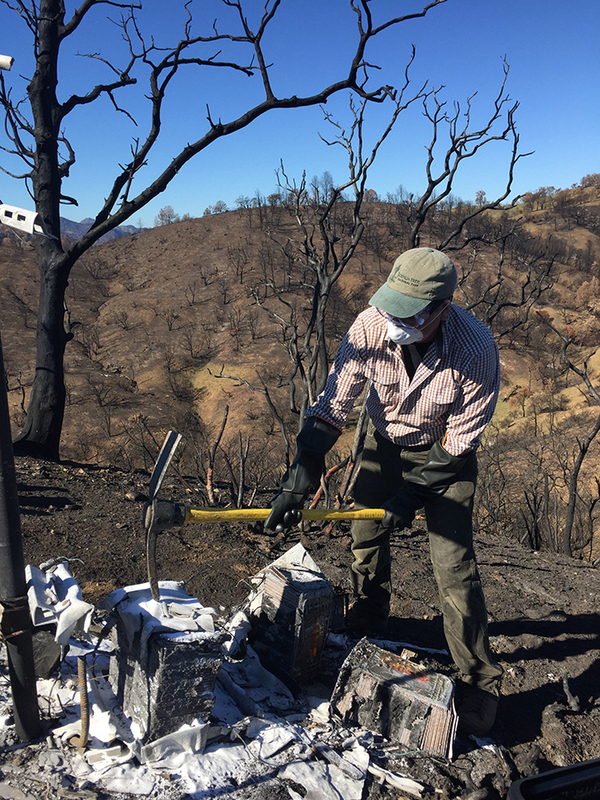 Data from P278 is important for understanding the transition between the central creeping section of the fault and the locked section southeast of Parkfield. 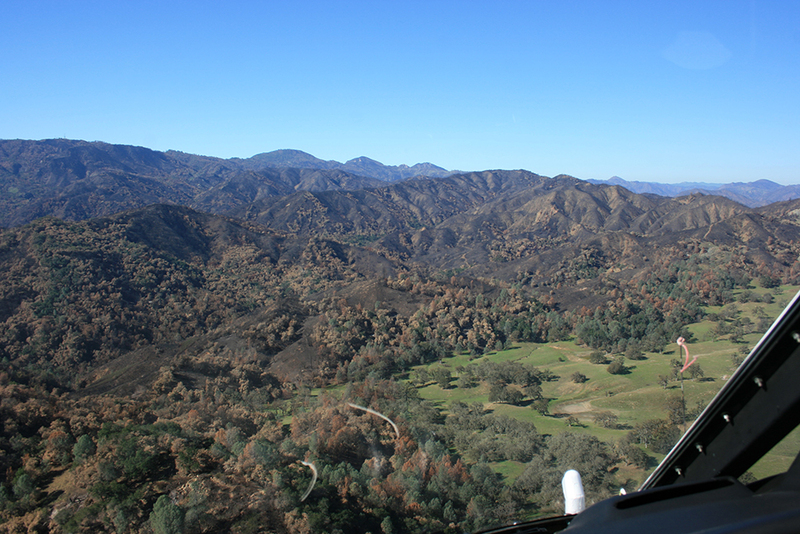 This helps researchers to better understand the regional seismic hazard and specifically to understand whether an earthquake rupture in the southern San Andreas can break through to the northern section to create a larger earthquake than would be possible in California otherwise. Road access to P278 is extremely difficult even under good circumstances. 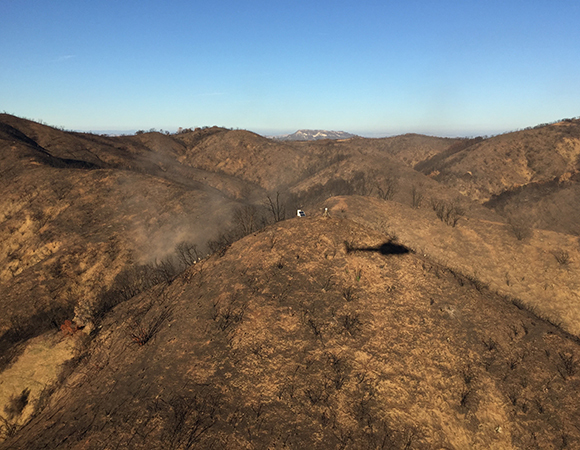 Because the destruction from the fire made the road condition unpredictable, the field team chartered a helicopter from nearby Paso Robles. 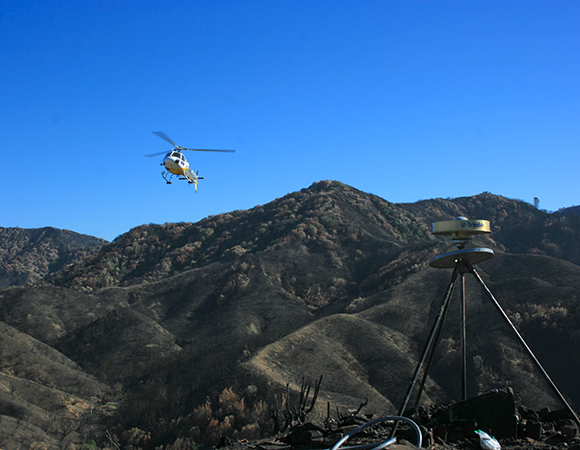 However, even after the Chimney Fire was contained in early September, other wildfires required the same helicopters needed to do the field work. 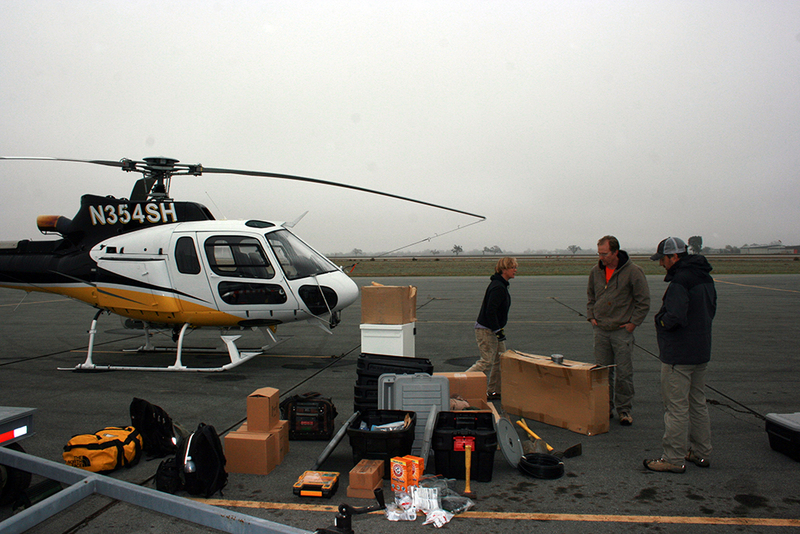 Twice, the helicopter work was cancelled the evening before the project due to the need to fight fires elsewhere in California. 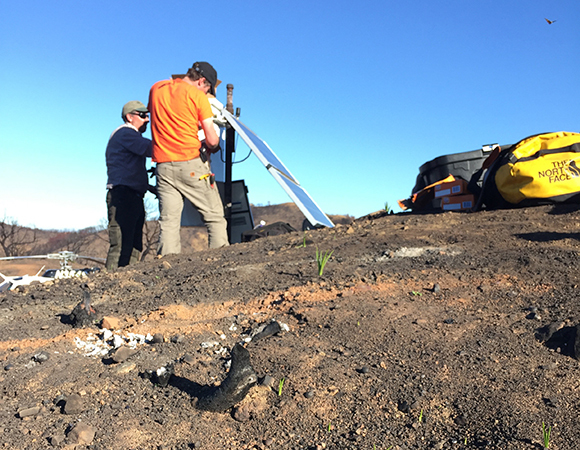 The team was finally able to mount their effort in November, led by Field Engineer Doerte Mann. 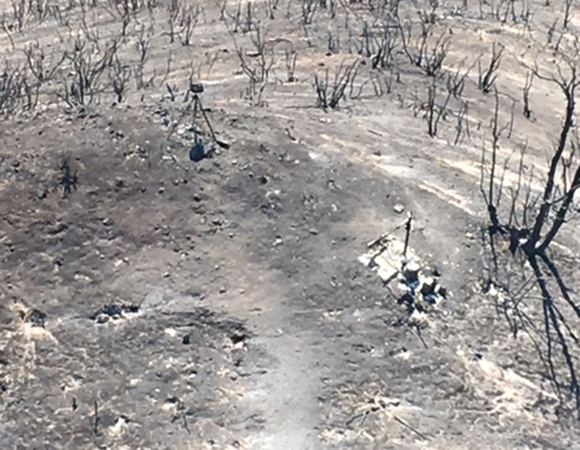 The site was in rough shape. 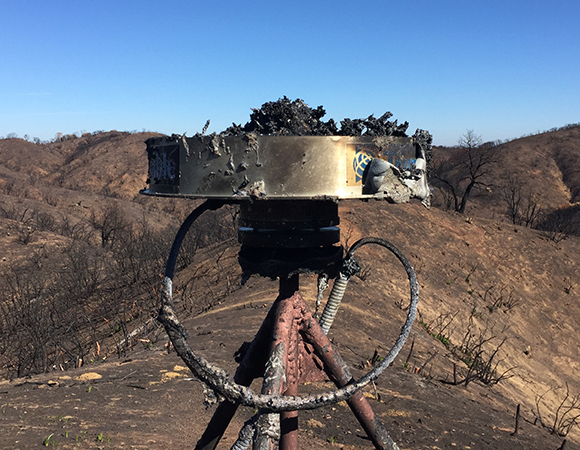 The composite radome on the GNSS antenna was melted into a pile of sludge on the antenna and down the monument leg. The cables were melted inside of their stripped conduit, and the solar panels shattered into tiny pieces. 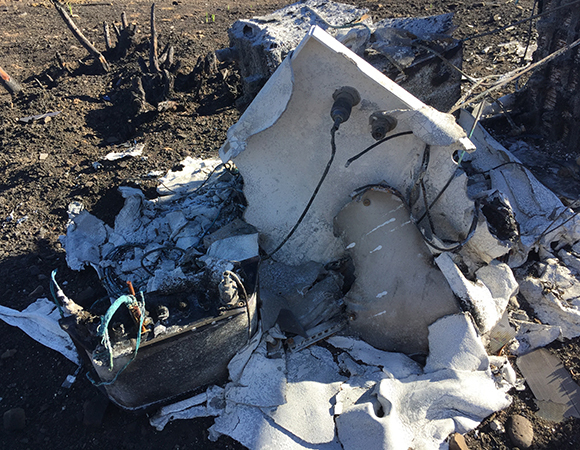 The aluminum enclosure that shelters the GNSS receiver and comms equipment was mostly vaporized and the four sealed, 70-pound solar batteries were partially melted and stuck together in a large lump of bare lead. 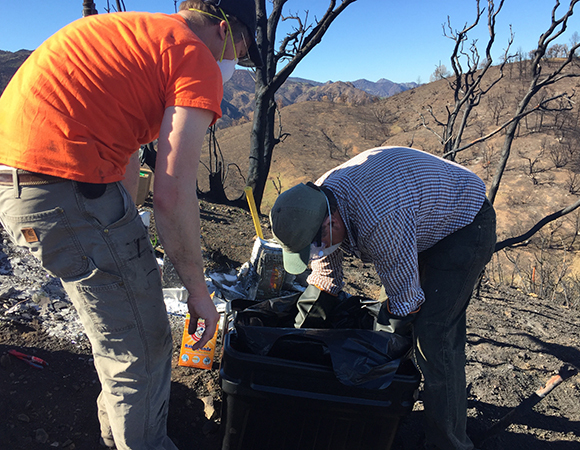 The three engineers on site began by cleaning up the mess. 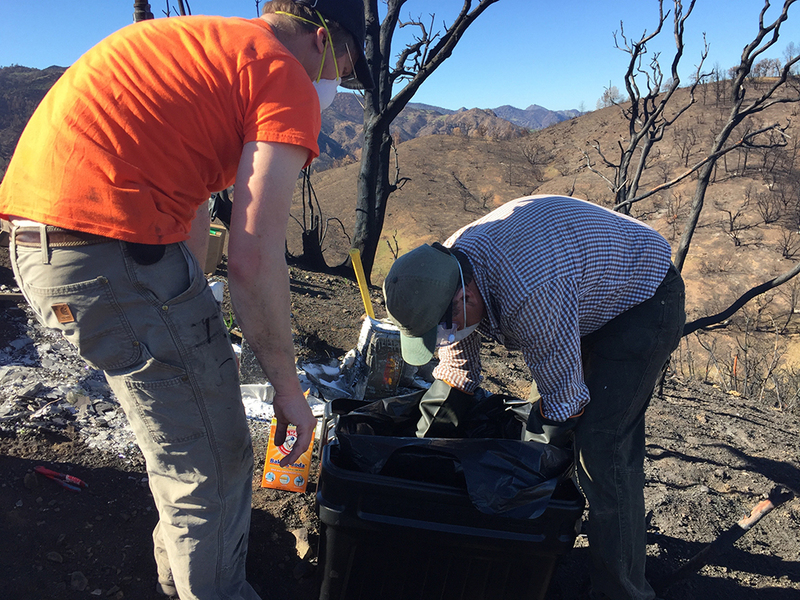 After a liberal application of sodium bicarbonate (baking soda) to neutralize any remaining acid, specific acid-resistant plastic tubs and bags were used to contain the materials for later transport to a hazardous waste center. 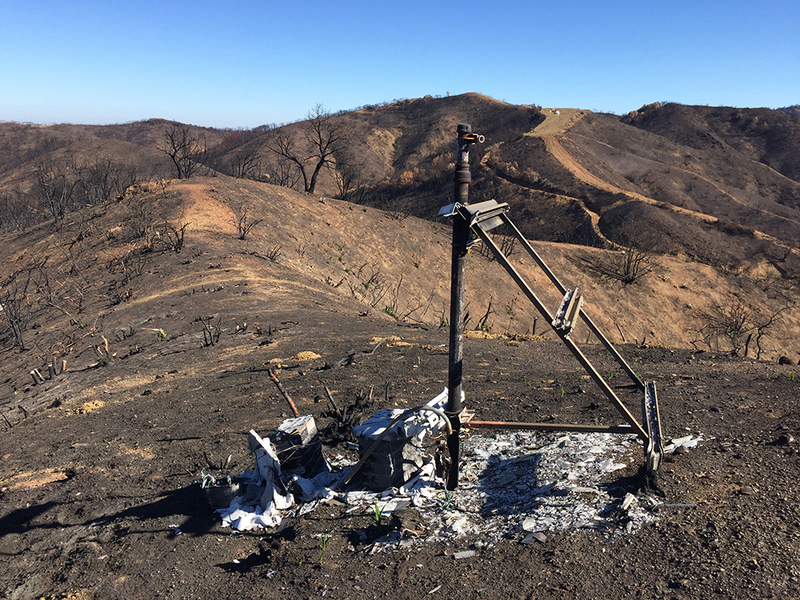 What remained of the batteries, enclosure, solar panels, and associated hardware was cleared out to make way for the rebuilding efforts. 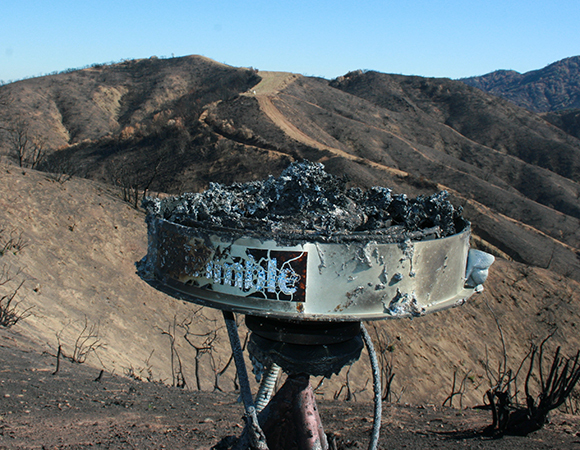 While the aluminum and plastics were all destroyed by the blaze, all the steel fortunately remained. 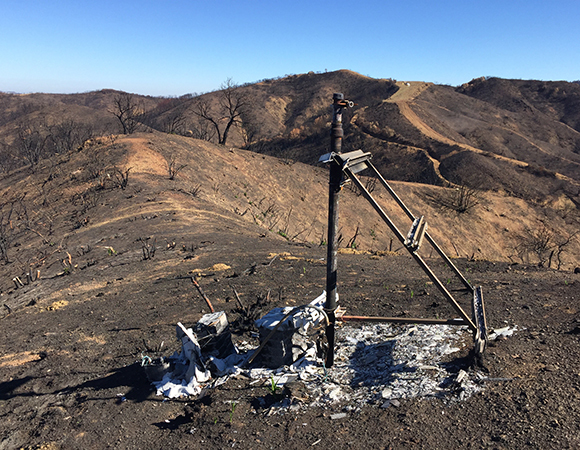 The enclosure post, the solar panel brackets, the short-drilled braced monument, and even the SCIGN mount for the antenna were all spared with little more than superficial scarring and all were reused, making the rebuild remarkably fast. 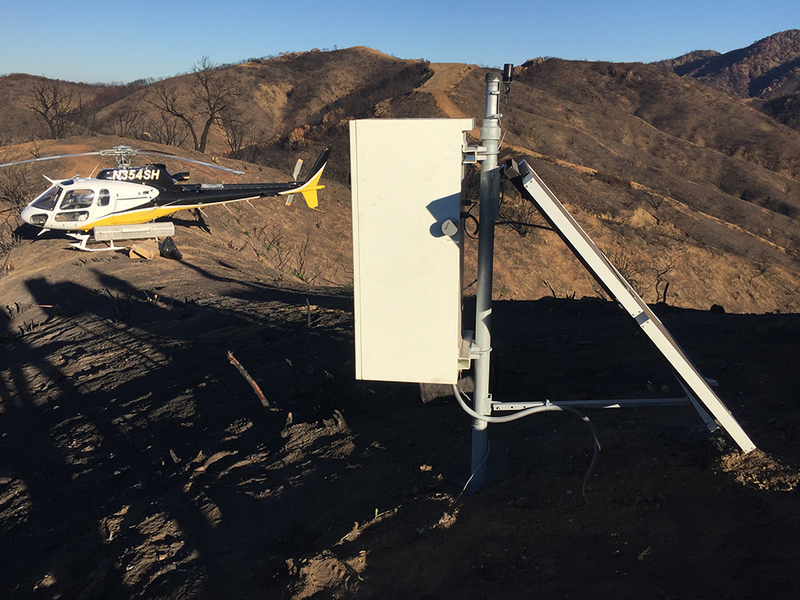 The GNSS antenna was replaced and a new enclosure, solar panels, and batteries were installed. The receiver was replaced with a next-generation Septentrio PolaRx5 and a new modem was added. 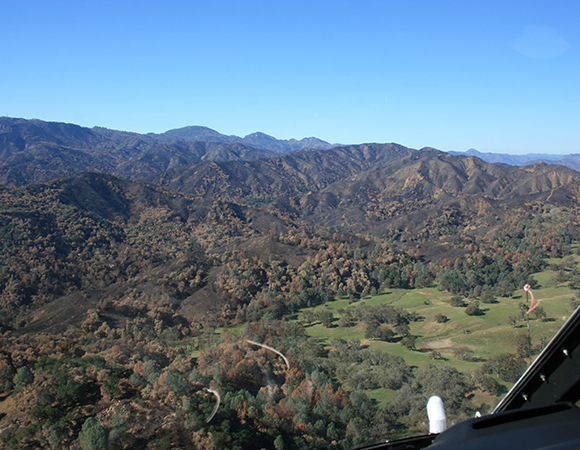 Every fire season, PBO sites are threatened by blazes in different parts of the network. 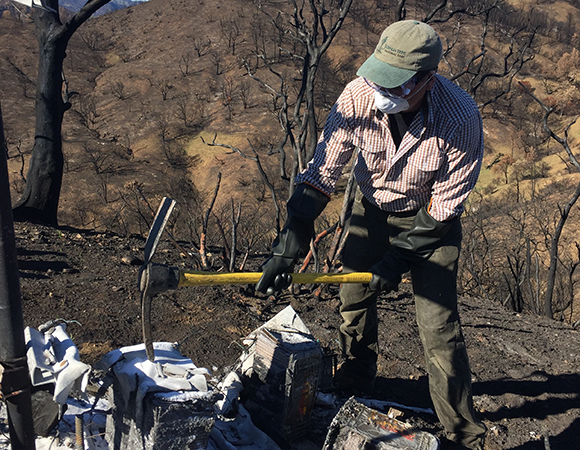 P278 is not the first to be burned and it will not be the last but field engineers will continue to restore these valuable instruments whenever it is possible to do so.